Campus Coordinators discuss regional strategy in a breakout session. Student leaders enrolled in SFL’s Campus Coordinator Program stayed at Towson University from Friday 22nd July 2016 to Sunday 24th July 2016 for an exciting weekend of training, networking and planning for the upcoming academic year. The purpose of the weekend retreat was to forge lasting friendships between incoming Campus Coordinators, build upon their natural talents, and create region-specific strategies for spreading the ideas of liberty to their fellow students. Speaking to both staff and Campus Coordinators, three themes of the retreat particularly stood out. The level of creativity and passion exhibited by Campus Coordinators was felt to be even higher than previous years, with an array of exciting new projects being planned in all regions. 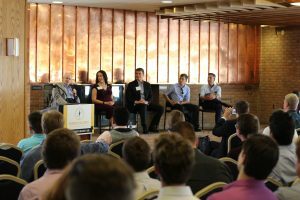 Furthermore, several student leaders expressed their appreciation for the diversity of opinions and backgrounds represented during the weekend, which reflects SFL’s wider commitment to being a broad-church organization in the liberty movement. 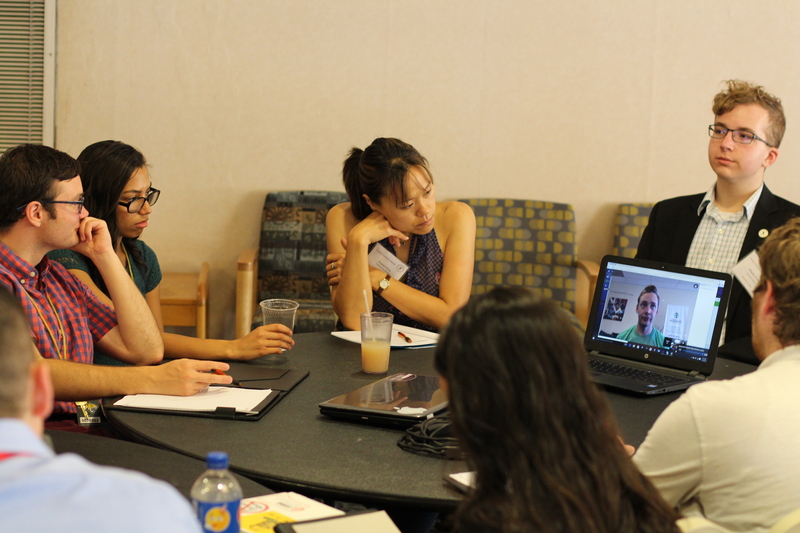 Finally, the decision to place extra emphasis on regional planning for the upcoming year was welcomed; Campus Coordinators devoted nearly six hours of the retreat to devising innovative outreach strategies and brainstorming for regional conferences. The opening day saw attendees introduced to the roles and responsibilities of being a Campus Coordinator, as well as the mission of Students For Liberty. However, the highlight of the first day was undoubtedly Dr. James Lark‘s keynote address, which was met with much enthusiasm. Dr. Lark emphasized the importance of being respectful when discussing ideas with those who do not share the aims of the liberty movement entertaining the audience with his approachable and light-hearted style. Tom Palmer delivers his keynote address on ‘Why We Fight’. Saturday morning was dominated by the first regional breakout session, whilst a Q&A with SFL’s Board of Directors took place in the afternoon. Following dinner, Campus Coordinators attended elective training track sessions on areas such as marketing and academic programs. This year’s retreat was the first time such sessions were provided, and attendees were pleased with this opportunity for specialization. The final session of the day was a keynote speech by Tom Palmer, titled Why We Fight. 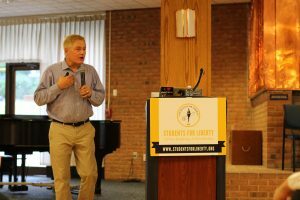 In his speech, Tom took Campus Coordinators through the history of young people in the liberty movement and impressed upon them the importance of continuing to passionately defend liberty across the world. The second day of the retreat ended with an extended social, giving Campus Coordinators a further chance to network and build friendships. Student leaders quiz SFL’s Board of Directors. The final day of the retreat was largely spent expanding upon regional plans developed earlier in the weekend and culminated in each region presenting their respective strategies in front of the whole room. Student leaders were also taught the basics of communicating the ideas of liberty in-person and online. The incoming Campus Coordinators departed from Towson energized and well-equipped to take the fight for liberty to their respective institutions. Students For Liberty cannot wait to report on their successes throughout the next year!